Add peanuts and roast it on low flame for 2-3 minutes, keep stirring. Take it out on a plate and keep it aside. Add oil in the same pan and let the oil heat. Add green chilli, curry leaves and chopped onions. Fry the onions on medium flame till it turns light brown. 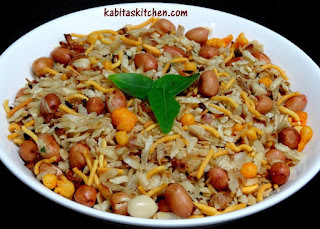 Add lightly roasted peanuts and chivda/poha (do not wash it). Mix it and fry it for 3-4 minutes on low flame. Add bhujiya/mixture and salt in the chivda and mix it. Increase the flame to medium and fry it for a minute to make it crispy. Add all the tomatoes, 1 and 1/2 glass of water in a pressure cooker. Boil the tomatoes for two whistle on high flame, turn off the flame. 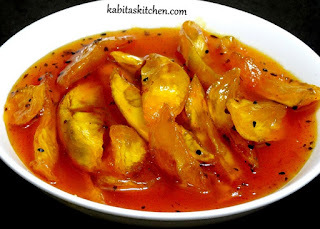 Take out the tomatoes and blend the boiled tomato into puree (do not blend the stock of tomatoes). Add the tomato stock in puree to increase its quantity to 2 glass (double of rice quantity). Add oil and let the oil heat, add all the whole spices and fry it for few seconds. Add chopped onion and fry it till it turns light brown. Add ginger garlic paste and turmeric powder, mix it and cook it for a minute. Add washed rice, salt and 2 glass of prepared tomato puree, stir it. Ready to serve with raita, curry or as it is. Mash all the boiled vegetables and keep it aside. Turn on the flame and heat a pan, add 1 tbsp butter and 2 tbsp oil. Add green chilli, ginger and garlic, fry it for a minute on medium flame. Add chopped onion and fry the onion till it turns little soft. Add chopped capsicum, green peas, chopped tomato and fry it on medium flame for a minute. Add little salt to cook the tomato faster, cover the pan and cook it for a minute on medium flame. Add kashmiri red chilli powder, pav bhaji masala and cook it for a minute. Add the boiled mashed vegetables and 1/2 glass of vegetable stock or plain water, stir it. Mash the vegetables with potato masher in the pan, check the consistency and add water if needed. Add little salt, cover the pan and cook it for 2-3 minutes on low flame (keep stirring in between). Turn off the flame, garnish with freshly chopped coriander leaves and butter. Toast the pav with little butter on tava from both side. 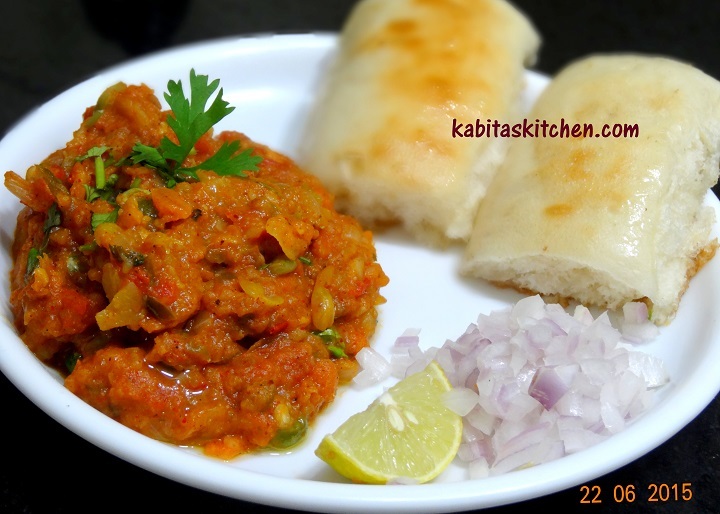 Serve with finely chopped onion, lemon slice and pav. Heat a pan, add peanuts and roast the peanuts on medium flame for 2-3 minutes. Put the roasted peanuts in the blending jar and let it cool a bit, coarsely grind the peanuts (do not make powder). 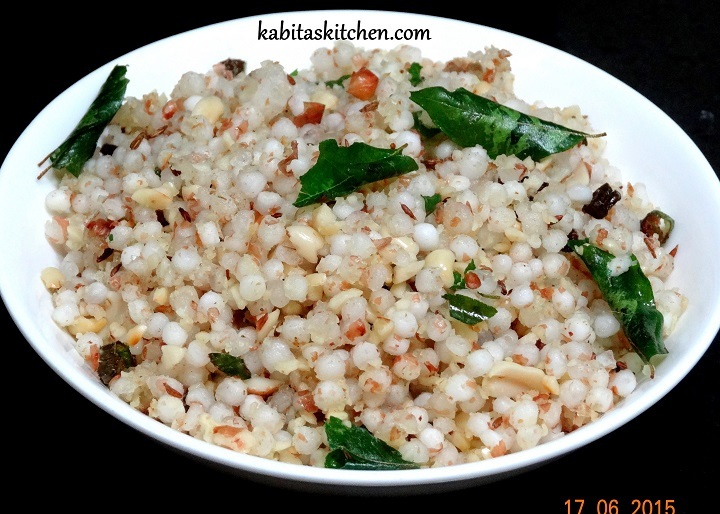 Mix the grounded peanut with soaked sabudana and keep it aside. Heat a thick bottom pan, add ghee and let it heat. Add cumin seeds, curry leaves, chopped green chilli and fry it for few seconds. Add sabudana-peanuts mixture and rock salt (optional) in the pan and mix it. Fry it on medium flame for 3-4 minutes, keep stirring. Store in a jar and consume it for up to 8-10 days (keep refrigerated). In a blending jar: Add garlic, ginger, green chilli, coriander leaves and mint leaves. 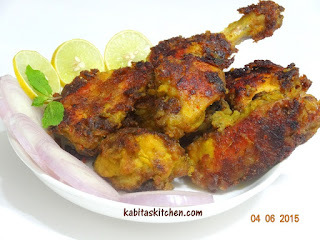 Add turmeric powder, salt, blended masala paste into the chicken and mix it properly. Keep it in refrigerator for one hour. In a blending jar: add ginger, garlic, roughly chopped onion and tomato and blend it without water, keep the paste aside. Heat a pan, add 3 tbsp oil and let the oil heat properly. Add the marinated chicken in the pan and fry it for 3-4 minutes on medium flame (cover and cook). Once the chicken is half cooked, take out in a plate and keep it aside. Put 2 tbsp oil in the same pan and let it heat, add cumin seeds and fry it for few seconds. Add turmeric powder, red chilli powder and chicken masala powder into the pan and mix it. Add the blended masala paste and fry the masala on medium flame till oil is separated from it. Add square shape chopped onion and cook it for a minute on medium flame. Add 1/2 glass of water, add little salt (we had already added salt in marination process) and stir it. Once the curry start boiling, add the half cooked chicken into the gravy and gently mix it. Cover the pan and cook it for 3-4 minutes on slow flame, turn off the flame. In a blending jar: add cumin seeds, coriander seeds, whole black pepper, roughly chopped onion, ginger and garlic. Blend it into thick paste using 2-3 tbsp of water, keep it aside. Remove the inner part (i.e. seeds) of the snake gourd with knife (keep the seeds for further use). Heat a pan, add 2 tbsp cooking oil and let the oil heat properly. Mash seeds of snake gourd with hand and add to to frying pan, add blended masala paste, stir it. Add turmeric powder, red chilli powder, dry mango powder, garam masala and salt to taste. Fry the masala on low flame till oil is separated from it (cover and cook). 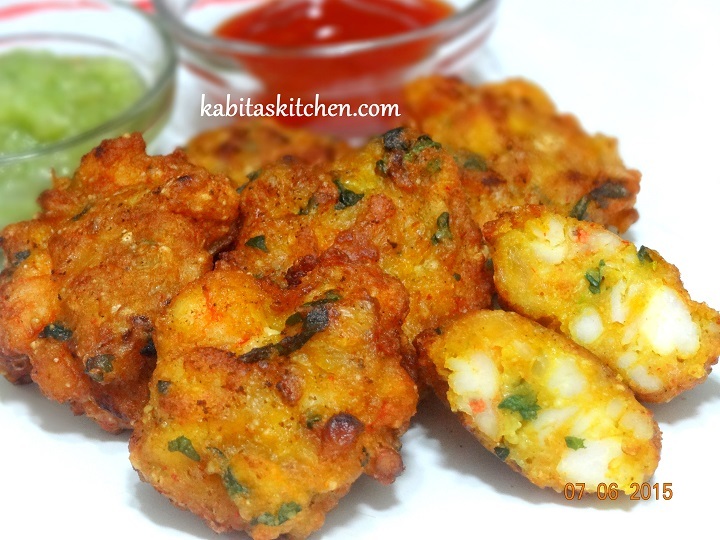 Turn off the flame and let the fried masala paste cool down completely. 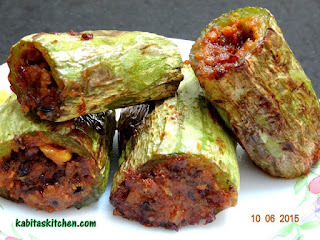 Gently fill the snake gourd pieces with the prepared masala paste. Heat a pan, add 3 tbsp cooking oil and let the oil heat. Put all the stuffed snake gourds into the pan, cover the pan and cook it on slow flame. 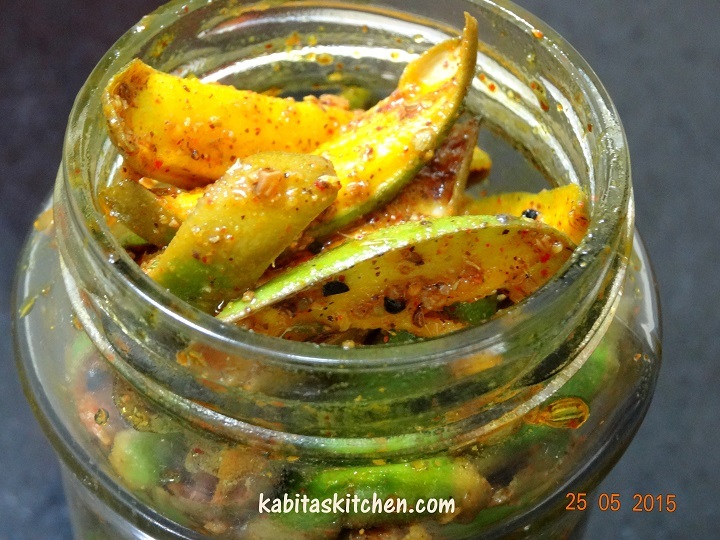 Cook it on slow flame for 8-10 minutes (keep flipping in between to cook all sides of snake gourd). Turn off the flame and take it out on the kitchen towel. Ready to serve with Rice daal, chapati, paratha, puri etc. Add chopped pistachio, cardamom powder and saffron and stir it. Boil the milk on low-medium flame till its reduces to 1/5 of its original quantity (keep stirring in between). 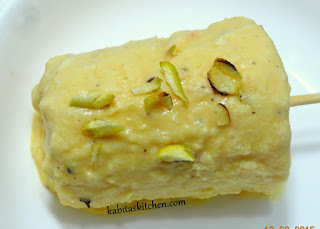 Add the mango puree in the prepared malai and mix it properly. Fill the mixture in the kulfi mould and put it in freezer for 6-8 hours. Take out from freezer, garnish with chopped pistachio and serve. Mix all the ingredients into a bowl except cooking oil (do not add water). Heat oil in a pan, take a small portions of prepared mixture and gently put into the hot oil one by one. Fry it on medium flame for a minute then flip it to fry other side. 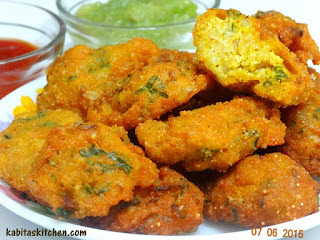 Fry the pakoras on medium flame till it turns golden brown from both side. Take out on the kitchen towel to absorb extra oil and repeat the same process for remaining mixture. Hung the curd in a muslin or cheese cloth for 4-5 hours. Put the hung curd into a bowl and whisk it. 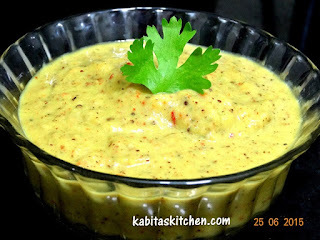 Add mango puree, cardamom powder, saffron, chopped pistachio. Whisk it well until it becomes smooth and creamy. Keep it in refrigerator for 3-4 hours. 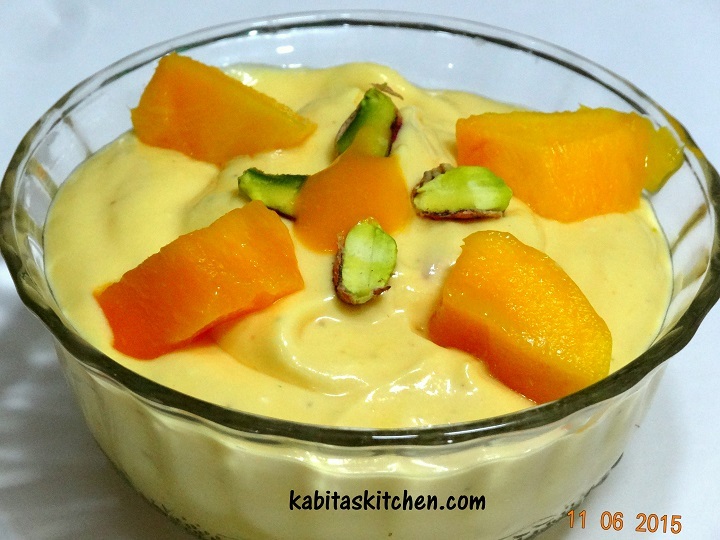 Garnish with some chopped mango chunks, chopped pistachio and serve chilled. 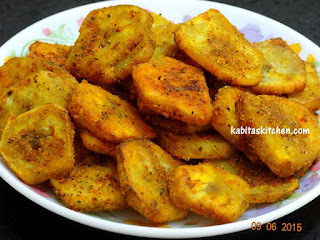 Add chopped banana, mix it and fry the banana for 2 minutes on medium flame. Add all the spices, salt and gram flour into the banana and mix it properly. Cover the pan and cook it for 4-5 minutes on low flame, keep stirring in between. Increase the flame to medium and fry it for a minute without cover. Increase the flame to high and fry it for 30-40 seconds to make it crispy, keep stirring. 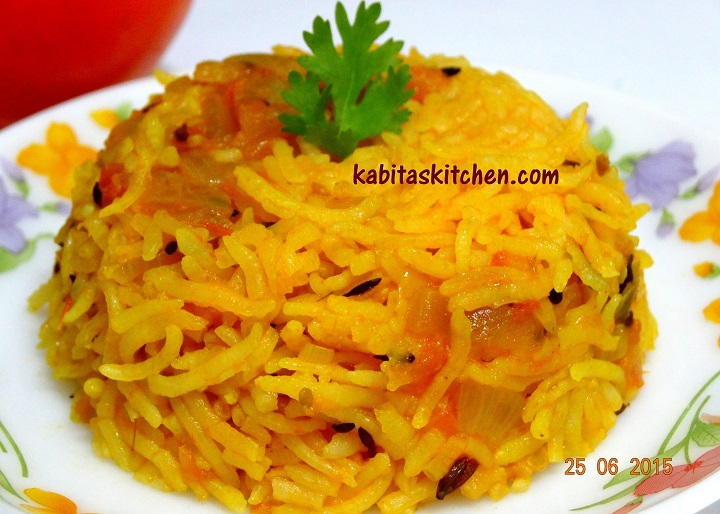 Turn off the flame and ready to serve with Rice and daal. Heat oil in a pan, take a small portions of prepared fish egg mixture and gently put into the hot oil one by one. Add cumin seeds, green chilli, garlic and fry it for few seconds on medium flame. Add chopped onion, fry the onions till it turns little soft. Add turmeric powder, red chilli powder, cumin powder and cook it for a minute on medium flame. Add tomato and cook it for a minute, add soaked Bengal gram and mix it. 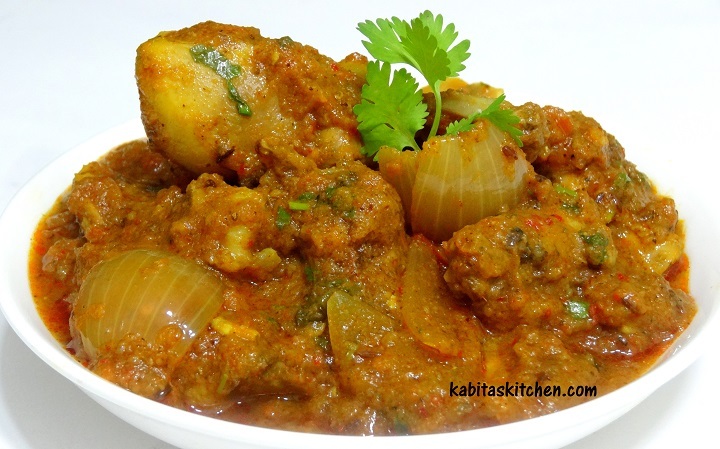 Add chopped nenua (sponge gourd), mix it. Cover the pan and coot it on medium-high flame for 2-3 minutes. Simmer the flame, cover the pan and cook it for 5-7 minutes, keep stirring in between. Add little salt, garam masala powder and cover the pan and cook it for 2-3 more minutes on low flame. Turn off the flame, ready to serve with roti, paratha and puri. Heat a non-stick pan, add cooking oil and let the oil heat.